Effective training and education for EAs and PAs delivers enhanced performance and productivity to executives and their businesses. From the reactive and directed EAs of old, your EAs today should be proactive managers, responsible for managing Executive focus, energy, mind-set and priorities. Full details of how we can assist in the development of more effective and productive EA and executive partnerships can be found in the following brochure. Irrespective of the size of your organisation, if you are looking for training or development solutions for your Executive Assistants or Personal Assistants that will have a significant impact on the performance of your executive and management teams, then we can assist you. As the foremost authority on the education and training of EAs and PAs in Australia, we are uniquely placed to provide development solutions that actually deliver. We believe in a partnership model designed to ensure EAs / PAs and their executives work together synergistically and cohesively. We train EAs and PAs to become independent and pro-active leaders who can manage the office of their executive in ways that enable the executives to be their most productive and effective. Modern Executive Assistants and Personal Assistants need the breadth of knowledge of a good general manager but without the depth of knowledge. But arguably, they need better interpersonal or soft skills. This is what we focus on delivering for all our in-house clients. Finally, our focus on a rationalised model that sees EAs and PAs assessed objectively in regards to what they actually deliver versus subjectively based on superficial issues, the beauty contest approach, means we have a focus in our education that ensures EAs and PAs constantly evaluate their actions and priorities against the known objectives of the business and the strategic direction of the organisation. 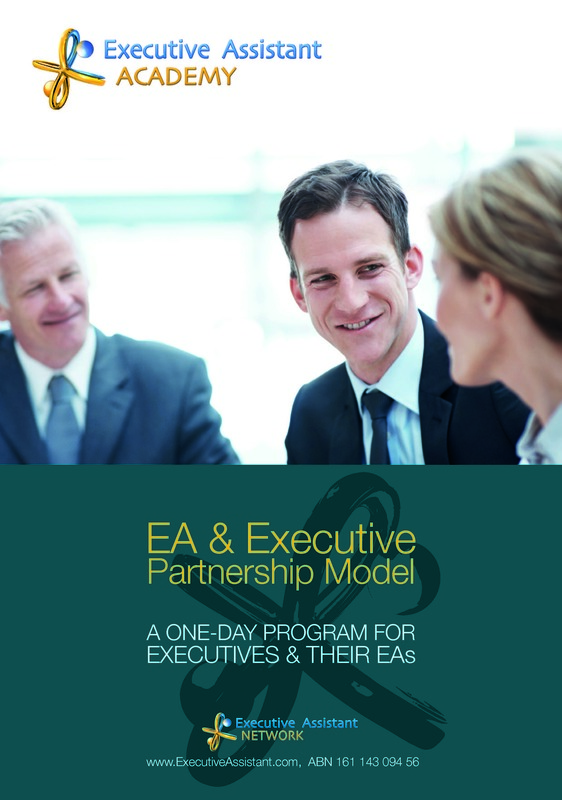 This groundbreaking program is delivered over one day, utilising processes of self-discovery and industry benchmarking to elevate the effectiveness of the EA and the Executive, to optimise the performance of the Executive office and to ensure that the Partnership operates at its highest level. All our public courses, including our Professional Development series courses and our Diploma qualifications can be delivered as in-house programs to help ensure better cohesion amongst the teams undertaking them. 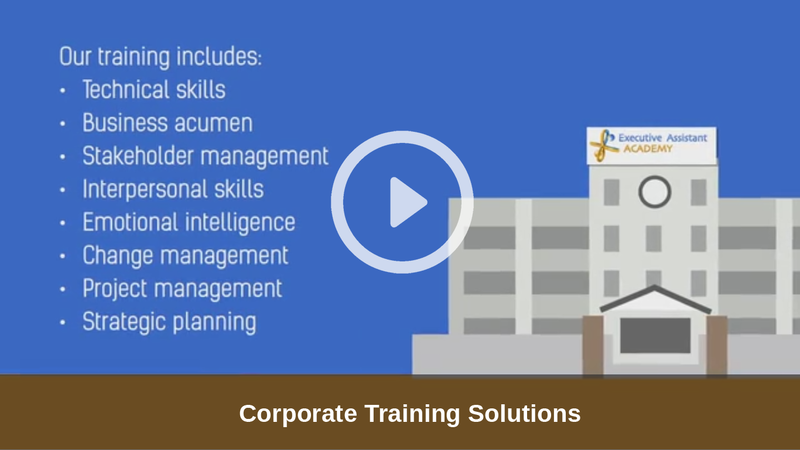 Many businesses have unique sets of circumstances or structures that require unique training and education solutions. This is where we excel. Because of the research we have previously undertaken into the role of EAs and PAs, we can work with your executive / management teams, HR managers or L&D managers, along with your EAs and PAs if required, to identify exactly what training and development your assistants need and then to put together training programs that will deliver accordingly.